A new study has revealed that polyhalite mined at ICL Boulby in East Cleveland is far more environmentally friendly than other fertilisers—with a ‘carbon footprint’ just a fraction of many other products. The Boulby mine is the world’s first and only producer of the unique mineral polyhalite (marketed as Polysulphate) which contains four vital plant nutrients—sulphur, potassium, magnesium and calcium. Already it is being sold across five continents and production is planned to step up to a million tonnes a year by 2020. The study, undertaken by waste and sustainability experts Filkin and Co measured carbon footprint as an estimated value of various fertilisers’ global warming potential. In the case of polyhalite it was just a twentieth of the level produced by ammonium nitrate fertiliser. Explains Andrew Fulton “There is increasing interest in knowing the carbon footprints of products in farming and in food supply chains. Retailers and consumers want to compare the ecological impact of foods. They want to look at every input and activity all the way through the production process from field to fork. “A growing proportion of farmers and growers are interested in the carbon footprint of the inputs they use. Minimising carbon footprint from fossil fuel-generated energy is one of the criteria used by farming and food production accreditation standards to differentiate sustainable farming businesses from others and is essential for organic systems. “The Polysulphate we produce at Boulby has a low carbon footprint because it is a natural product. It is just mined, crushed and screened without any further energy-intensive chemical processes. 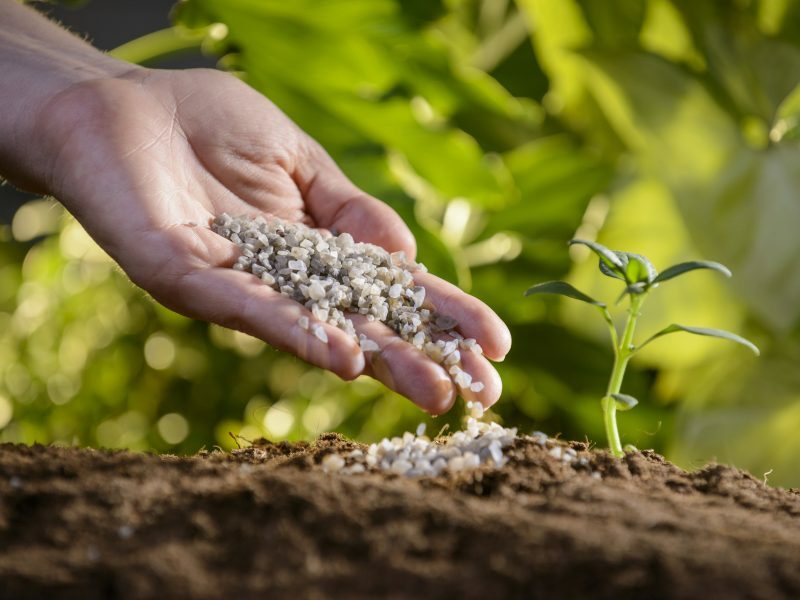 There are no additional processes, such as flotation or crystallization, which are used to create other fertilisers, so energy and water use in Polysulphate production is far less. In addition, there are no by-products to deal with which also contributes to its small ecological footprint.